VisitScotland / Cutmedia, all rights reserved. 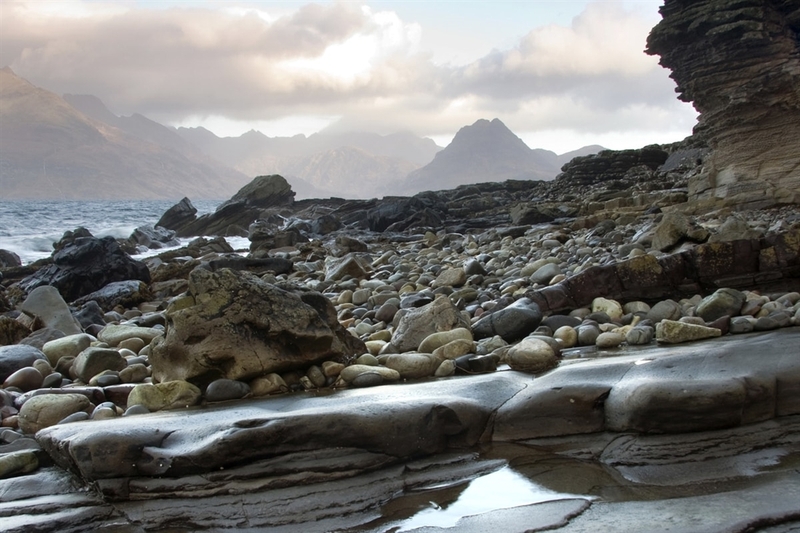 This rocky mountain range is located on the Isle of Skye. 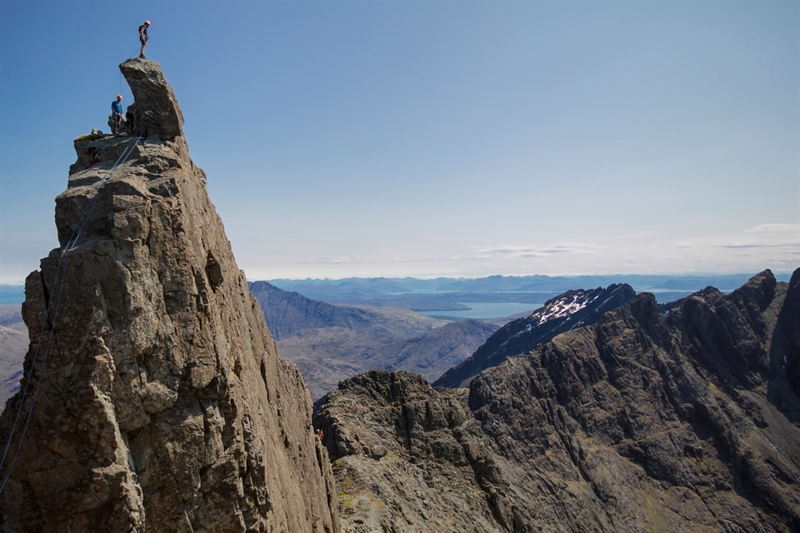 Also known as the Black Cuillin, the mountain’s highest point is Sgurr Alasdair at 3,255 ft (992 m). The sharp peaks, which rise up from the flatness of the surrounding terrain, are the dominating feature of the island and can be seen from every other peninsula on Skye. 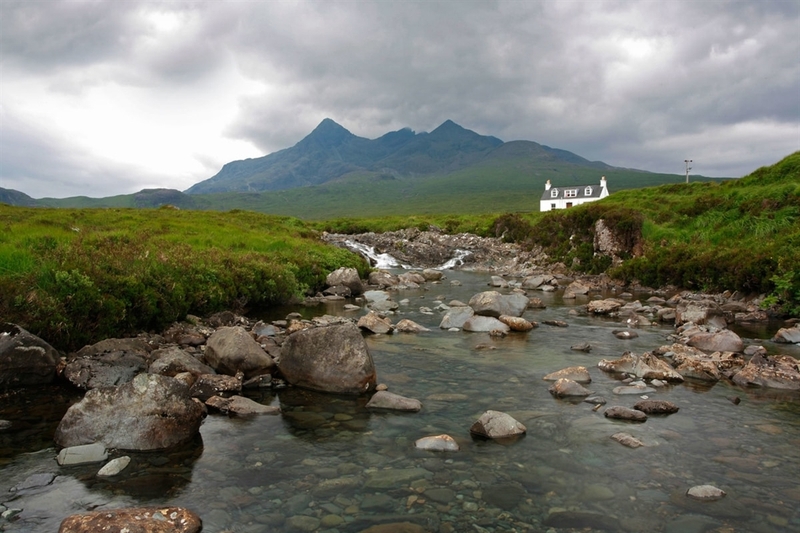 The mountains can be approached from three sites: from the south by foot or by boat from Elgol; from the Sligachan Hotel to the north; or from Glen Brittle to the west of the mountains. Glen Sligachan is one of the most popular routes, dividing as it does the granite of the round-topped Red Hills (sometimes known as the Red Cuillin) to the east from the dark, coarse-grained jagged-edged of the real Cuillin to the west. With some 20 Munros between them, these are mountains to be taken seriously. Experience is vital for climbing the Inaccessible Pinnacle in real life but you can climb it virtually in this 360 degree video - don't miss out on the spectacular views!